However, despite these obvious omissions and shortfalls, the selection remains promising: Among the 21 selected films competing for the Palme d’Or are new films from It Follows director David Robert Mittchell (Under the Silver Lake), Eva Husson (Girls of the Sun), Jean-Luc Godard (The Image Book), Alice Rohrwacher (Happy as Lazzaro), Jia Zhang-ke (Ash is Purest White) and Hirokazu Kore-eda (Shoplifters). It was also recently announced that Solo: A Star Wars Story will premiere on 15 May at Cannes – 10 days before the movie’s anticipated official opening. 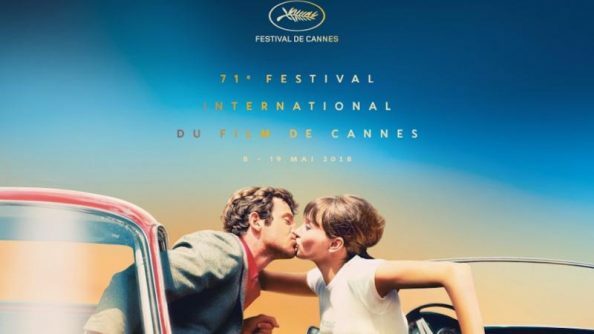 Plus, with a bunch of new regulations for press screenings and premieres, Cannes is certainly planning to shake things up a bit during its 71st edition. Opening the festival tonight will be Asghar Farhadi’s Spanish-language psychological thriller Everybody Knows, starring starring Penélope Cruz, Javier Bardem and Ricardo Darín, and it will be interesting to see if the Iranian director has handled the jump to a different language and location well enough to still intrigue audiences in the same way as he did with his earlier work. Another title to look forward to is Cold War, the new film by Pawel Pawlikowski, which revolves around a love story between two mismatched people in Poland during the cold war of the 1950s. And then, of course, there is Spike Lee’s BlacKkKlansman, which brings this director to Cannes for the first time since 1991, when he was at the festival with Jungle Fever. His latest offering is produced by Get Out director Jordan Peele and depicts the real-life story of Ron Stallworth, a black police officer who went undercover in 1978 to infiltrate the Ku Klux Klan. For anyone interested in casting the net a little wider than the Official Competition, the festival’s sub-section Un Certain Regard this year focuses on films by daring but perhaps less established filmmakers, while the always exciting Directors’ Fortnight (programmed by the French Directors Guild) is also often the place were avant-garde and up-and-coming directors are spotted. Check out the full line-up of the Official Selection below.